4K Ultra HD Picture: Every scene in breathtaking detail and clarity with over 8 million pixels and 4x the resolution of 1080p Full HD. Full-Array LED Backlight: Evenly distributes LEDs across the screens backlight delivering superior light uniformity, color consistency and a more responsive picture from edge to edge. VIZIO Internet Apps Plus: Optimized for Ultra HD streaming, beautifully simple Smart TV delivers instant access to the hottest movies, TV shows, music, and more. 802.11ac Dual-Band Wi-Fi: Take advantage of todays fastest wireless speeds for faster load times and a higher quality casting experience. 4x UHD-Ready HDMI Ports: Supporting the latest HDMI standards, HDMI 2.0 and HDCP 2.2, D-Series allows you to connect to next-generation Ultra HD-enabled cable & satellite receivers, Blu-ray Players, and game consoles. 1x USB Port: Share photos, music, and video right on the big screen. Easy Setup: Intuitive menu system with finely tuned picture modes and onscreen user manual make it quick and easy to setup for your environment. DTS Studio Sound II: Advanced virtual surround sound audio from the TVs two built-in speakers. I saw this tv has no reviews, so I wanted to give it my stamp of approval for anyone who may see this. This tv is great for the price. It has Netflix, amazon prime, and a few other apps built in, so you don't have to hook anything up to it to watch most of your shows. I bought a cheap antenna for all the digital network channels.The picture is beautiful and I have no complaints about it. It doesn't have separate dimming areas like many tvs (the overall backlight dims as one unit to increase dynamic range) but I can't even notice a difference. I'm very picky about my picture quality and after spending hours with different types of media I am 100% satisfied.Old Xbox 360 looks great too although I did have to increase a few color settings on the Xbox itself because it was made for an older tv. Now my games look better than they ever have.Great tv, and highly recommended. 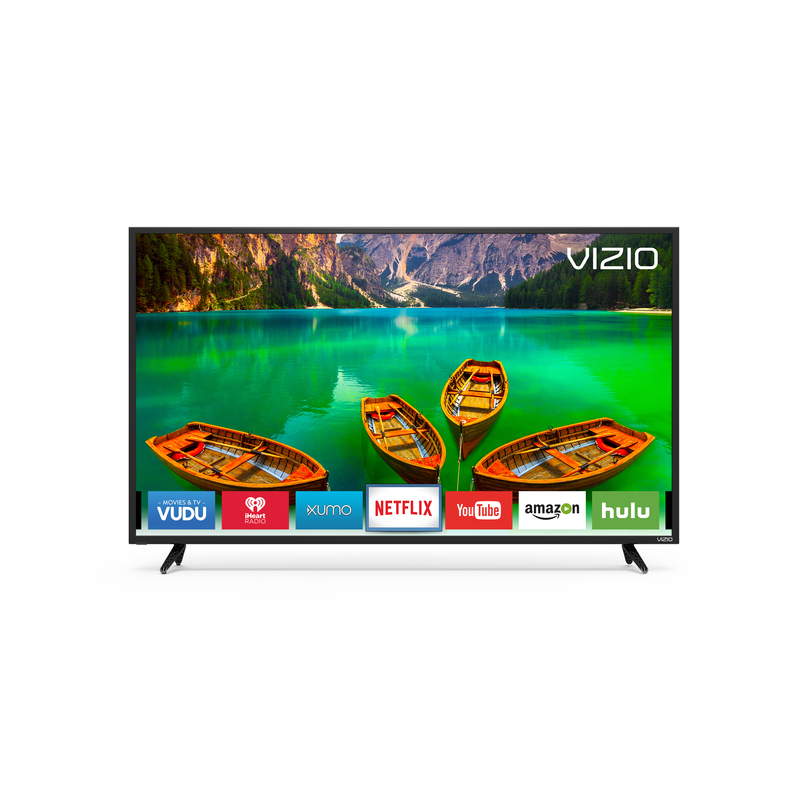 Tbook.com crawls the web to find the best prices and availability on products like Vizio 50" Class 4K (2160P) Smart LED TV (D50-E1). This product is one of the more popular items we list which is why it is in our "hot deals" section. If you have any questions on this product, please give us a call at 734-971-1210 during the hours of 9am - 5pm EST for assistance. Thank you for shopping at Tbook.com, the Internet Department Store!